This poem is Part 11 in Esther Hyams’ wonderful series of poems telling the life story of Anne Boleyn. Please check out Esther’s other poems and leave Esther a comment to encourage her! As they prepared to go to France, a status for her alone. Lady Rochford, would now be made the Marquess of Pembroke too. Around her elegant neck were jewels that would sparkle and allure. Despite the scowls or how many of the peers wished her downfall. Anne was becoming the most prestigious non royal woman in the realm. The elegant bud was blossoming into a potent flower. Was given such royal favour and a title of her own, so pure. Such a powerful moment that filled many with such dread. 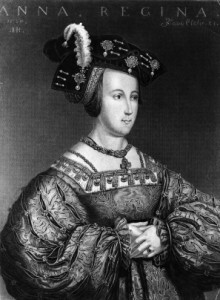 Anne Boleyn would now be known as the Lady Marquess. Click here to read the next poem, “Duels and Jewels”. Thank you again Esther! Paints a picture. Is there any possibility we could read your poem at a renaissance banquet to be held in Connecticut in April. The performers will be reenacting that great day for Anne Boleyn when she received this title of Marquis of Pembroke. It’s all for authenticity and educational. There will be entertainment and a feast. Thank you. As long as you can mention that the poem is written by Esther Hyams (me), then by all means enjoy reading the poem at your event! I’m honoured that you chose my poem for this in mind. I hope your event is a great success. It would be great if you could let me know how the event goes, and how people like my poem.